This product is available at Aliexpress, Ebay, Banggood. At aliexpress.com you can purchase Orange Pi Zero Plus 2 H3 Quad-core WIfi Bluetooth, mini PC ,Support Android, linux, Beyond Raspberry Pi for only $22.90, which is 43% less than the cost in Banggood ($39.90). 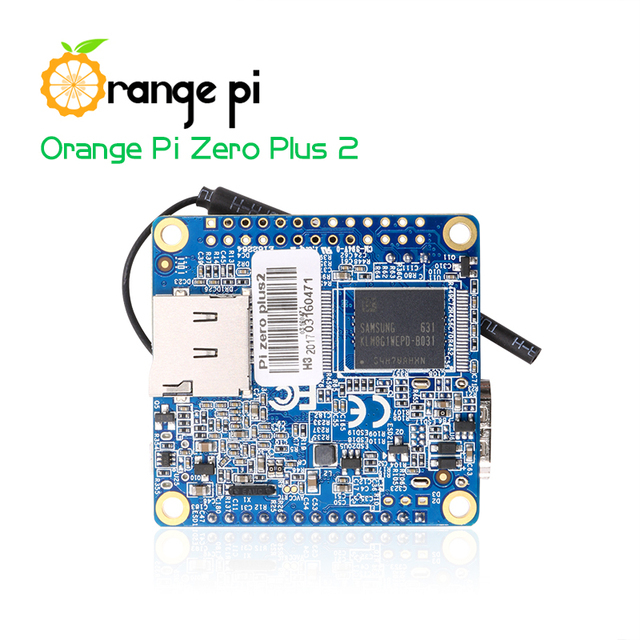 The lowest price of Orange Pi Zero Plus 2 H3 Quad-core Bluetooth 512MB DDR3 SDRAM Development Board Mini PC was obtained on 11 April 2019 3 h 03 min. 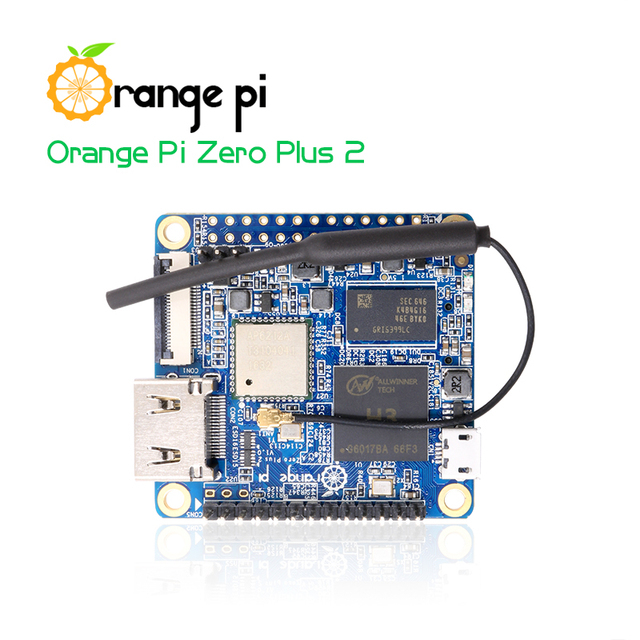 The Orange Pi Zero Plus 2 H3 is the successor to the Orange Pi Zero H2+. 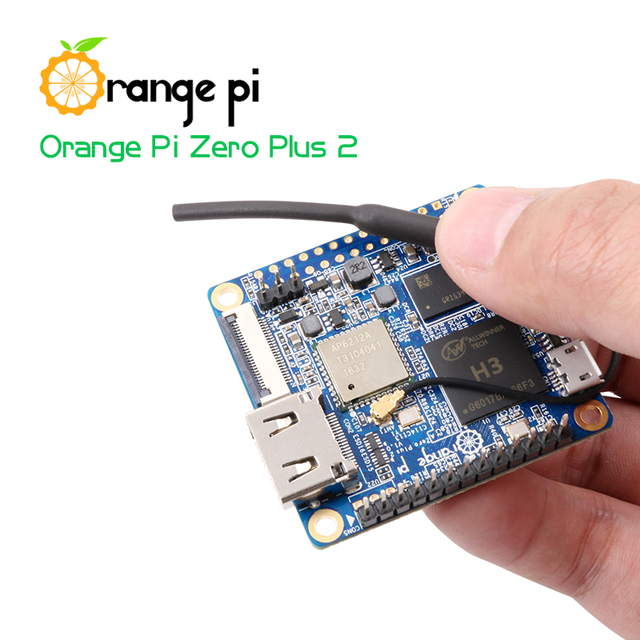 The Orange Pi Zero Plus 2 H3 inaugurates a new generation of mini-PCs for the development of connected objects. It is equipped with the SoC Allwinner H3 @ 1,2GHz and 512MB of DDR memory. The POE Ethernet port has been abandoned in favor of WiFi and Bluetooth 4.0 (AP6212). The card is much more compact too. 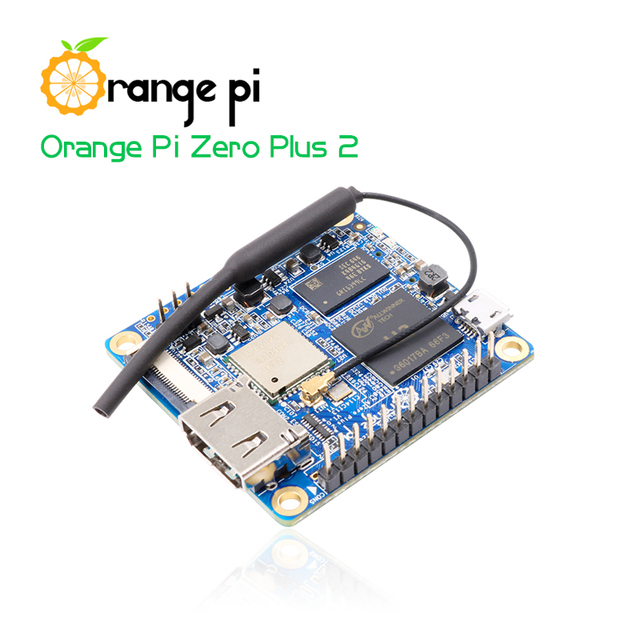 It has only one USB port in micro-USB OTG format to power Orange Pi Zero Plus 2. A more powerful H5 version is also available. A 13-pin connector lets you add 2 USB 2.0 ports, a microphone, a TV output, an audio output, a microphone and an infrared receiver. An expansion card is also available. The 26-pin connector (not Raspberry Pi compatible) is always present. The system can run on the 8GB eMMC flash memory on the card (more reliable), or on an SD card (up to 64GB). The WiFi antenna can be replaced with a more powerful antenna thanks to the IPEX connector. Finally, the camera connector in CSI format is always present. It is not compatible with cameras for Raspberry Pi.